Push content to one screen or thousands with the click of a button. You’re in control. 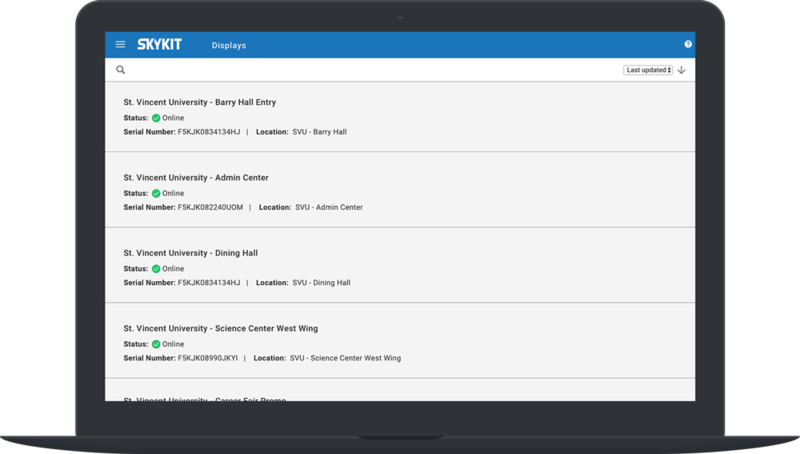 With the Skykit CMS, you can manage, upload and publish content from any device with an internet connection. Skykit caches and stores content on the player, so if you have a slow network or lose your internet connection, it’ll keep playing — no blank screens or error messages. Choose exactly which display, or pre-defined group of displays, to publish your content to, so the right audience is always in front of the right message at the right time. Distribute content to one screen or thousands with the click of a button. Push edits, updates and additional content to your displays instantly. Temporarily override content on all of your displays at once with time and date sensitive content like emergency broadcasts and automatically switch back to the previously scheduled content. 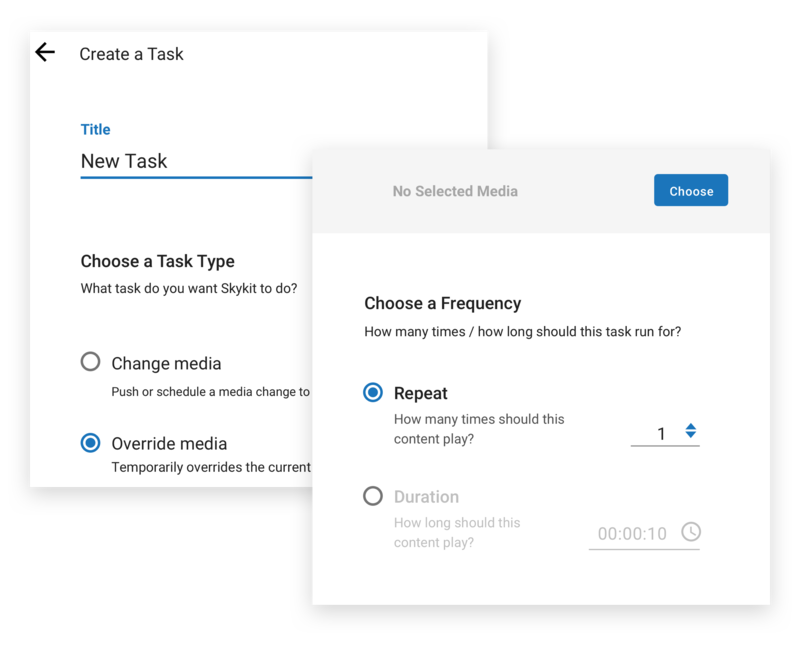 Stay in control by scheduling exactly when and where content changes are published using Tasks. Allow users to edit your Google Slides display content without needing to give them access to the full Skykit Content Manager. By turning on Auto Publish, their updates will automatically distribute overnight without you having to go schedule every time they make an edit.